The Mission President and CEO Ed Morgan testified in support of designation. Morgan spoke of the desperate conditions in the Bowery at the time the Mission moved into the building. He acknowledged that while the Bowery now possessed a vastly different character, the work of “helping New York’s hurting citizens” is ongoing. Morgan said landmarking the building would “memorialize the Bowery’s colorful past” while recognizing the Mission’s ongoing work. The New York Landmarks Conservancy’s Andrea Goldwyn said that the building merited designation for its architectural, cultural, and historic significance, and called it “one of the City’s most important social-service organizations.” Representatives of the Historic Districts Council and the Bowery Alliance of Neighbors also testified in support of designation. Landmarks did not set a date to vote on the designation. LPC: The Bowery Mission, 227 Bowery, Manhattan (LP-2494) (June 12, 2012). 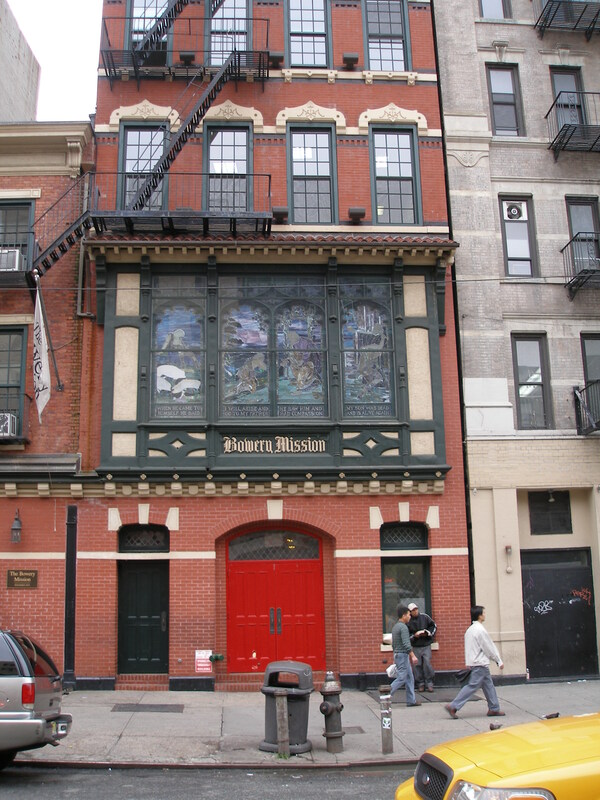 Update (7/9/2012) – Landmarks designated the Bowery Mission as an individual City landmark on June 26, 2012. Read the designationreport here.